HFObserver.com offers the edge in finding quality jobs, firm information, news, launches and funding developments. The HFObserver.com weekly email brings all the latest industry news straight to your inbox. Subscribe today to stay ahead of the curve. Follow Us on Twitter! Get exclusive hedge fund news you won't find anywhere else. Join today and get access to over 800 hedge fund jobs at the world's top hedge funds/alternative asset managers. Firm names and applicant contact info always provided. 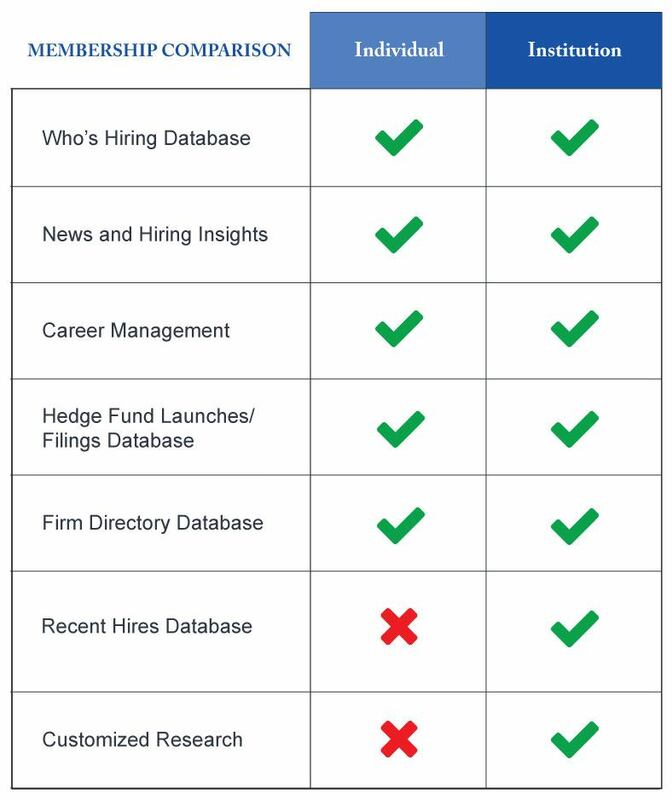 Join HFObserver as an institutional client and get bespoke talent analysis and full access to our Hedge Fund industry database, updated weekly. Track firms and apply to hedge fund jobs quickly and easily. Bespoke talent analysis and trends in the hedge fund market.